Canada’s mining ombudsman: oversight at last but is it too little too late? Canada looks set to appoint an independent ombudsman to monitor alleged human rights abuses carried out overseas by its mining companies. But will it stop the rot? Nnamdi Anyadike investigates. A recent NGO report highlights five claims of serious harm linked to overseas Canadian mining projects. Photo: courtesy of Popo le Chien/Wikimedia. The Canadian Government, led by Justin Trudeau, has been accused of dragging its feet on the issue of an independent ombudsman. Photo: courtesy of the World Bank Photo Collection. 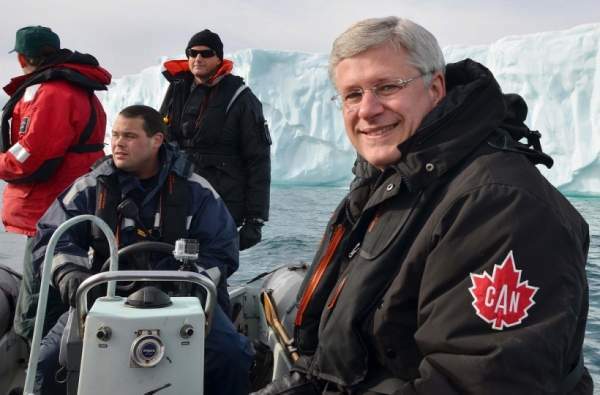 In 2009 former PM Stephen Harper introduced a corporate social responsibility strategy. Photo: courtesy of Number 10. Sometime early next year, the Canadian Government led by liberal Premier Justin Trudeau may finally honour its 2015 election pledge and appoint an independent human rights ombudsman to oversee the country’s international mining operations. A decade ago, support for the office faced stiff opposition from much of Canada’s mining industry and the country’s then conservative government, under the premiership of Stephen Harper. In 2009, Harper’s Government opted instead for an alternative corporate social responsibility (CSR) strategy together with a series of national contact points (NCPs) which would operate without an ombudsman. In 2014, attempts were made to ‘strengthen’ the CSR, albeit without providing recourse to an independent ombudsman. But the strategy’s ineffectiveness in protecting workers’ rights, the environment and curbing corruption has led to it come under fire from a wide variety of critics, and the Trudeau Government has been accused of dragging its feet on the issue since coming to power last October. Now things look set to change. A landmark British Columbia Supreme Court ruling in November 2016, in the case of Araya v Nevsun Resources, struck a blow in favour of foreign claimants bringing human rights-related lawsuits in Canada, even when the alleged harm takes place in another country. The judgment could have widespread repercussions for Canada’s overseas mining operations. Commenting on the decision, Michael Torrance, Janne Duncan and Guy White of law firm Norton Rose Fulbright Canada say this ruling is merely the latest in a number of decisions that have considered whether allegations related to the behaviour of foreign subsidiaries, or the contractors and subcontractors of foreign subsidiaries, can be litigated in Canadian courts. There is also a groundswell of political support for an ombudsman. One MP, the liberal party representative for Ontario, John McKay, says he now fully expects to see a clear plan in place for creating an ombudsman for the extractive sector “by March 2017”. Joint fact-finding is a process designed to bring both sides of a dispute together to determine how issues should be investigated and involves agreeing on what facts need to be examined, how that examination should be conducted and who should do the work. It was the growing catalogue of complaints against Canadian miners overseas that appears to have finally swung the political tide in favour of creating the new office. A recent NGO report highlights five claims of serious harm linked to overseas Canadian mining projects. In one example, in the case of the Canadian and Chinese-owned China Gold International Resources (China Gold) metal mining project in the Tibet Autonomous Region, a landslide in March 2013 killed 83 miners. A complaint was then filed with the NCP by the NGO Canada Tibet Committee (CTC), which claimed there was documented evidence to support allegations that the disaster at the Gyama copper polymetallic mine was caused by “irresponsible mining practices”. However, China Gold refused to cooperate with the inquiry and fifteen months later, the NCP concluded that the company had not demonstrated that “it was operating in a manner that can be considered to be consistent” with the OECD Guidelines. It also criticised the company for its “unwillingness to engage in facilitated dialogue”. The organisation further recommended that Canada’s Trade Commissioner Service and its export credit agency, Export Development Canada (EDC), take into consideration the company’s refusal to participate in dialogue when evaluating future support. But this conclusion is a non-binding suggestion only and the NCP’s conclusion is widely regarded as being a feeble and inadequate response to such a serious incident. There was also a lack of decisiveness in dealing with alleged actual and potential human rights violations and environmental harm at the Chinese and Canadian-owned Corriente-CRCC’s Mirador copper mining project in Ecuador. In July 2013, a complaint was filed with the Canadian NCP concerning these allegations, but to the dismay of the complainants, the NCP in its final statement determined that the issues raised did not merit further consideration. Meanwhile, in Papua New Guinea a less than whole-hearted response was received following complaints lodged in 2011 by two indigenous organisations. The complaints were regarding Barrick Gold’s Porgera Joint Venture (PJV) gold mine and covered a wide range of issues, including forced evictions and the uncontained riverine dumping of the mine’s tailings and waste rock. To date, the report claims, Barrick has taken action on just two of the ten items in its own remedy programme, with no progress made on the remaining eight. Elsewhere, Barrick was hit with a $9.3m last year for a cyanide spill at its Veladero mine in Argentina, where it has only recently been able to resume operations. And two years prior, the firm was handed a record $16.4m penalty in Chile when it was found guilty of 23 violations of its environmental impact agreement at the stalled Pascua Lama gold project on the Chile-Argentine border. Barrick is now facing a US class action lawsuit where it is accused of distorting facts related to Pascua Lama. Additionally, in Tanzania there have been reports of sustained episodes of violence at the North Mara gold mine since Barrick Gold acquired it in 2006. A Tanzanian Government inquiry uncovered that 65 people have been killed and 270 have been injured at the hands of North Mara mine security staff during that period. The site, which has produced more than two million ounces of gold to date, is operated by Barrick’s 64%-owned African subsidiary, Acacia Mining. Acacia Mining’s London office declined to comment. Other cases include the 2010 complaint filed with Canadian NCPs regarding Mongolia’s Oyu Tolgoi copper-gold-silver mine, in which Canada’s Ivanhoe Mines has an interest. The complaint alleged shortcomings in the project’s environmental impact assessment and the absence of a water study for the proposed mine, despite its location in the Gobi desert. Yet a year later, the Canadian NCP determined that the company’s environmental assessments were “complete and of a high-quality”. It then issued a final statement declaring the complaint to be closed. In Zambia, the report claims that allegations of forced evictions against the country’s Mopani Copper Mines – in which the Canadian-based mining company First Quantum Minerals holds a 16.9% stake – was blatantly ignored. The complaint was lodged in early 2001 and an all-party agreement to halt any further evictions was reached in October of that year. However, by 2006 evictions had resumed. This led the NGO ActionAid to subsequently denounce what it called “the negative and disproportionate impact of the mining industry on women in Zambia,” including those living near the Mopani mine. By August this year, operations at the mine were temporarily closed following the deaths of four workers in separate accidents. In the eyes of critics, Canada’s overseas image has been tarnished over the years by these many allegations. But despite the more blatant human rights breaches on record and the numerous hurdles to be overcome it is fair to argue that, with the installation of an ombudsman, there are more reasons now to be optimistic about Canada’s overseas mining industry than at any time in the past.